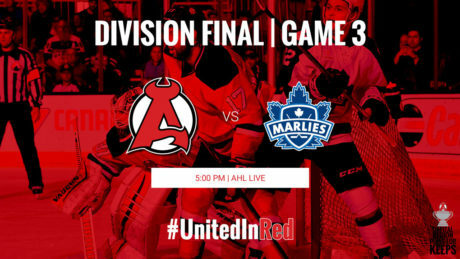 After splitting the first two games of the North Division Final, the Devils and Marlies will meet at 5 pm Sunday at Times Union Center for Game 3. 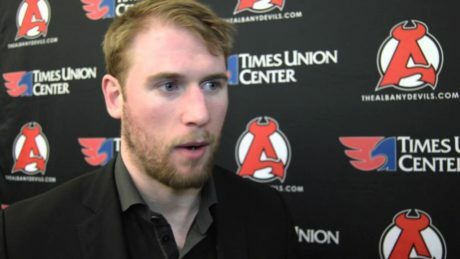 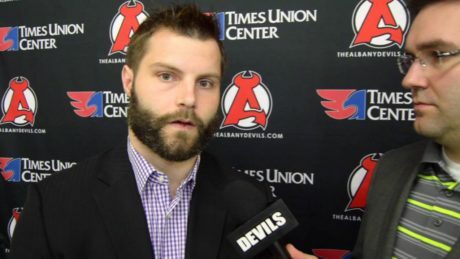 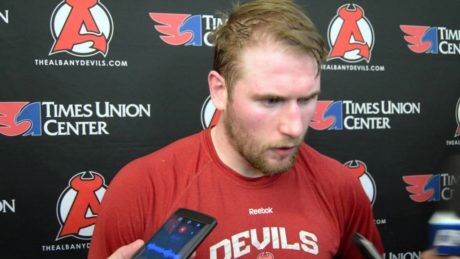 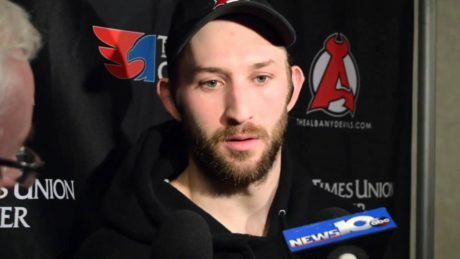 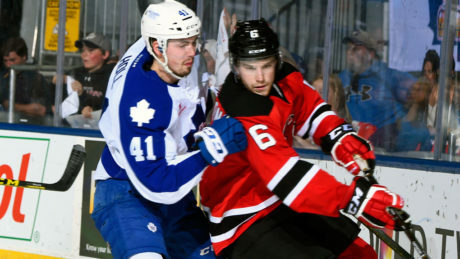 Playing without centers Jim O’Brien and Pavel Zacha, the Devils dropped a 5-3 decision against the Marlies Friday at Ricoh Coliseum. 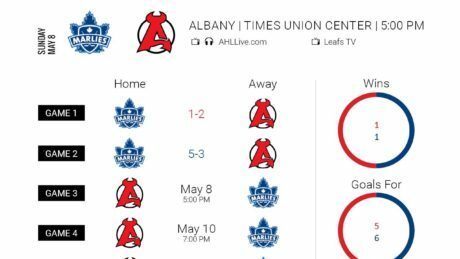 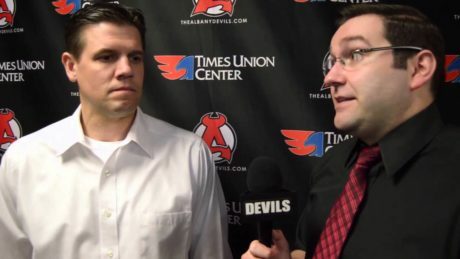 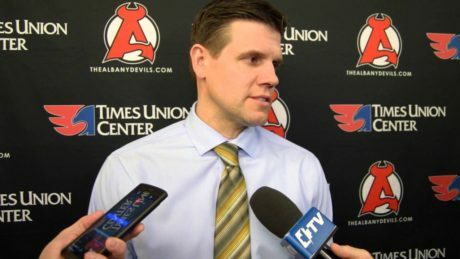 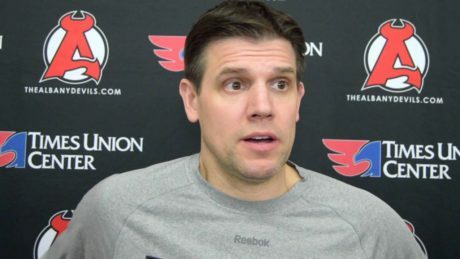 After claiming a 2-1 victory during Game 1 of the North Division Final, the Devils will try and build a two-game lead against the Marlies Friday. 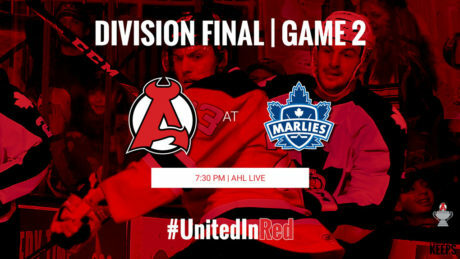 Puck drop is slated for 7:30 pm at Ricoh Coliseum.